Let's get our weekly dose of information and talk about combustion engine. An example of combustion engine that is familiar to us exists in the form of a car engine. In simple term, combustion engine is an engine which generates mechanical power by combustion of a fuel. Common sense tells us that the bigger the car, the bigger the engine will be. Open the front bonnet of your car and you will have some idea about its size. How about smallest combustion engine? For now, this kind of engines sit in the lab rather than roaring on the road or spinning inside machines. 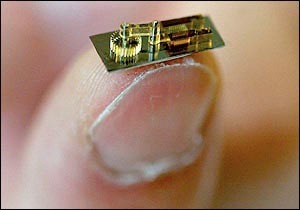 Scientists call them microelectrical mechanical systems, MEMS. In 2003, Birmingham University unveiled an engine just a few milimetres wide. They claimed that batteries would give way to lighter fuel-powered gadgets. This has not materialise yet, as it turn out to be. Otherwise we would have seen many in the market to take over the job of batteries. In Japan, researchers at Ritsumeikan University reported in 2007 a MEMS engine with a 5mm combustion chamber and capacity of just 0.017cc. That is more than 85,000 times smaller than your typical 1.3 litre engine Perodua Myvi or Proton Saga. So small, what are these engines for? You cannot yet find them in the market - at least not in big scale - probably due to the difficulty in manufacture or issues on return of investment, or could simply be due to lack of application. If there are possible applications for such tiny engines, they could probably find their ways in the field of medical, military instruments, robots, or simply watches, laptops and communication gadgets. Source: I got this fact from this weekend's Daily Express but the opinion and expansion of story are my own. This is an interesting mechanical fact. Looks like everything is shrinking. That is pretty interesting. I would share this trivia to the long island toyota dealers. It would be great to see this little engine run a tiny toy car.